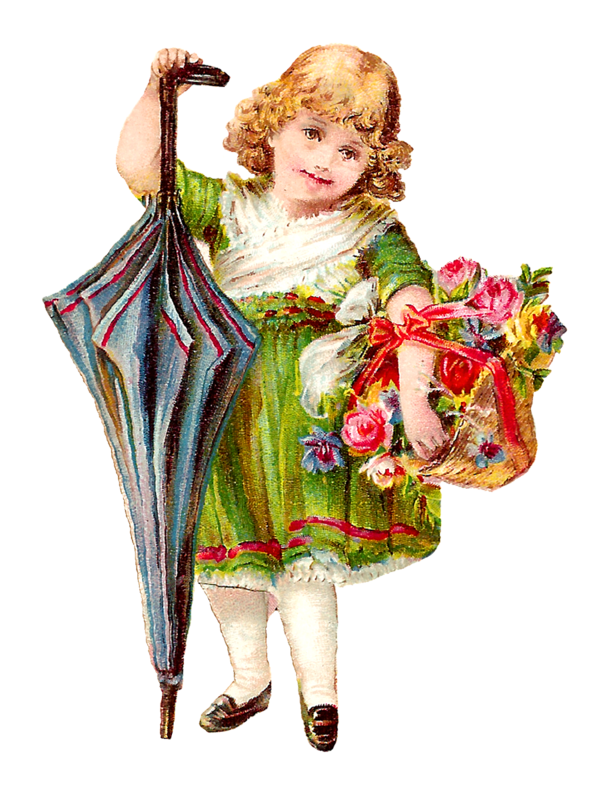 These two digital Victorian girl downloads are delightfully pretty! 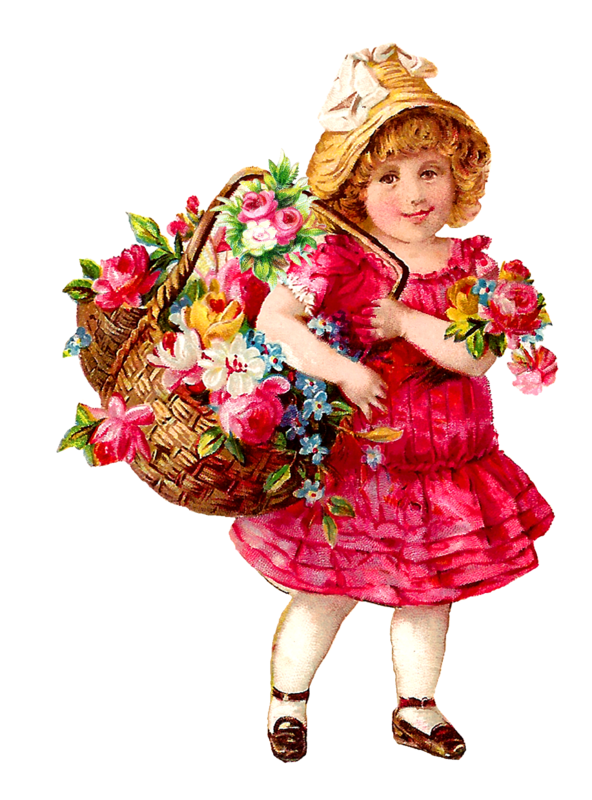 Perfect for spring or wedding crafting projects, these Victorian flower girl images are bright, colorful and designed with lots of lovely flowers and roses. 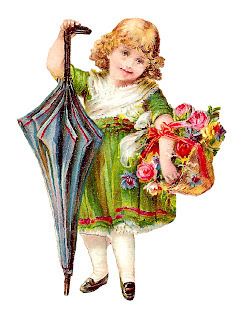 The girl's dresses are bright green and pink, which are so beautiful! 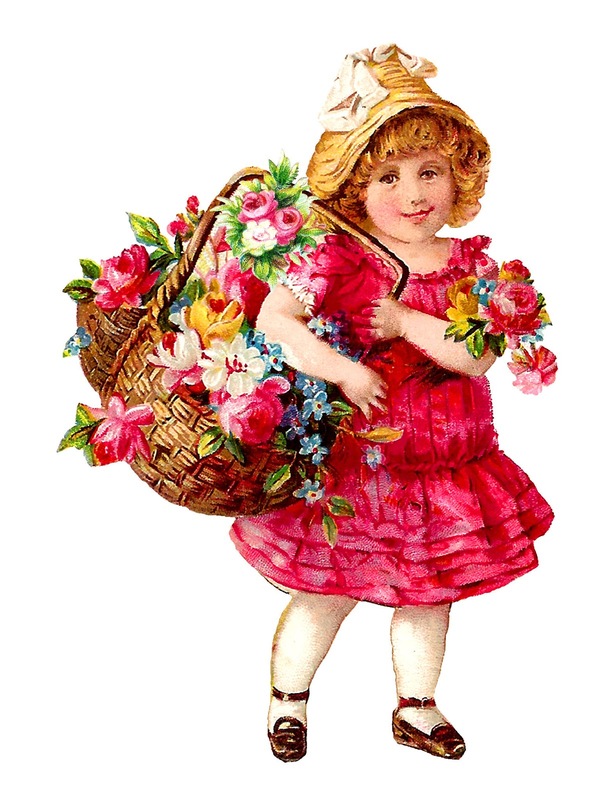 They each look as if they've just been picking flowers in a field. 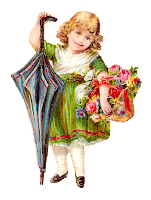 The little girl in the second digital child clip art image is precious as she stands next to an umbrella that is as tall as she. Cute!